The School Of Seven Bells and Secret Machines man was an incredible musician and a genuinely good soul. He passed away on December 29, 2013 at the tragically young age of 35 after losing his battle with T-cell lymphoblastic lymphoma. In the four years since, the final chapters of the School Of Seven Bells story have been written with the posthumous ‘I Got Knocked Down (But I’ll Get Up)’ single and the ‘SVIIB’ album, parts of which were recorded after he broke out of the hospital to get to the studio. In this piece, originally put together shortly after hearing about his death, I tell the story of how Benjamin became a hugely important part of Sonic Cathedral and why he was such a special person who I will never forget. 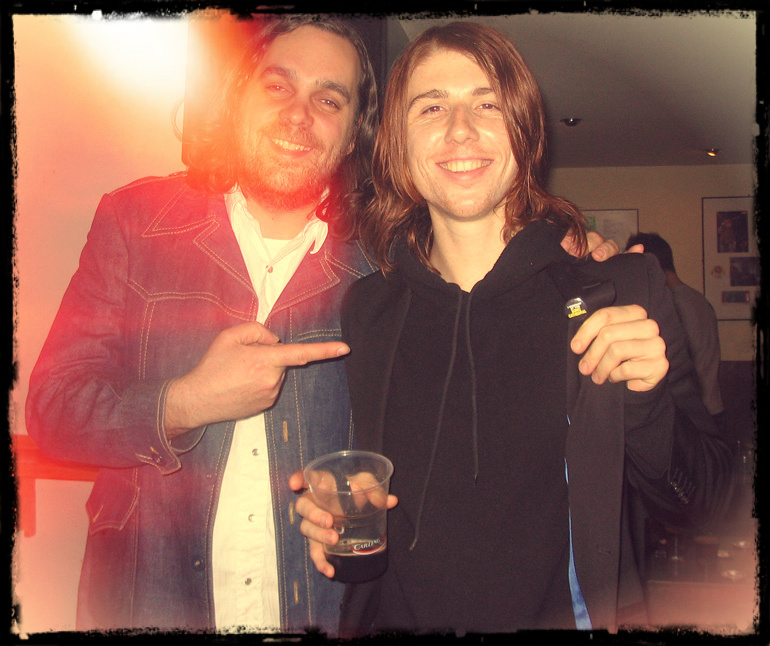 I first met Benjamin at the O2 Wireless festival in London’s Hyde Park in June 2005. I had seen his band the Secret Machines play an early evening set to far too few people as part of an horrific bill that also included Keane and James Blunt. (My friends’ band were playing in the O2 tent on the same night, but I wasn’t allowed in there because I wasn’t an O2 customer.) Later, I saw him backstage and sidled up with a stack of flyers for my Autolux gig the following week (another show I never got to witness because it was scheduled for July 7, the day of the London bombings). In those days I would relentlessly pursue bands that I saw as musically like-minded and try to get them to play or DJ at Sonic Cathedral, come and hang out, or just wear one of our badges. Secret Machines, with their Led Zep-gone-krautrock classic debut ‘Now Here Is Nowhere’, were definitely on my wavelength. ‘The Road Leads Where It’s Led’ was a frequent floor-filler at every Sonic Cathedral in those early days; even though my 7” copy was dangerously double-grooved and played at a Peel-perplexing 33rpm, it was always well worth the risk. 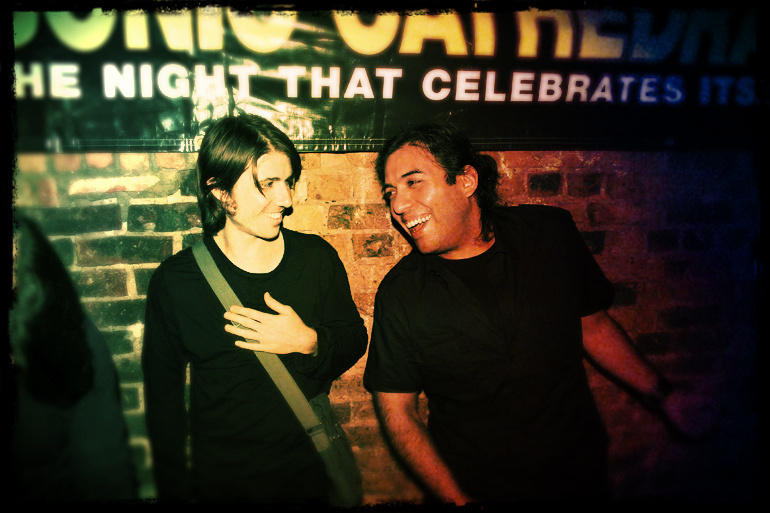 Anyway, the first evidence I had that Benjamin was different was that he seemed genuinely interested in Sonic Cathedral and the music we played; he told me it sounded like his kind of club. I began to pester their agent for a secret show next time they were over, with no luck, but I did manage to blag a spot DJing at their show at the Garage in January the following year. There was no support band, so I had a full hour and I treated myself to a vinyl copy of Can’s ‘Soon Over Babaluma’ to help pad out my set of Eno, Neu!, Nico, Bowie, New Order and Spacemen 3. My selections must have gone down well with the band because, when they returned to play Shepherd’s Bush Empire a few months later, I was asked to DJ again. This time I even had my own dressing room and a bottle of wine on the rider. The latter was much needed to steady the nerves when I realised the DJ decks were actually set up onstage and the UV lighting began playing havoc with my white shirt. The photo below was taken after the show when I got Benjamin to wear yet another Sonic Cathedral badge. The DJing favour was duly returned in August, at one of the three Sowing Seeds nights I co-curated with Fields. After sets by the hosts and iLiKETRAiNS (as they were known then) all three members of Secret Machines kept the floor filled with classics such as ‘Leave Them All Behind’ as everyone took full advantage of The Legion’s 2am licence and never-ending supply of free drinks tokens. 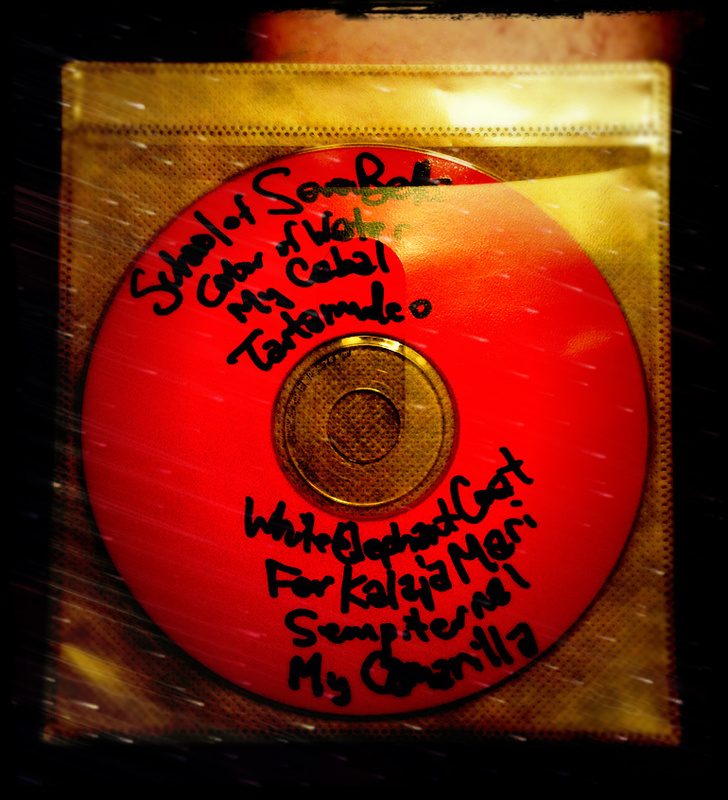 Even though as a result memories remain sketchy, I recall Benjamin telling me excitedly about School Of Seven Bells and handing me a CD containing, appropriately, seven songs. Benjamin’s spectral guitars and Alejandra and Claudia Deheza’s otherworldly vocals had made me think of the Cocteau Twins, so I suggested a Robin Guthrie remix for the flip side. I wasn’t exactly sure how on earth to go about making this happen, but I was young(er) and enthusiastic and said I would make some enquiries anyway. “Are you kidding?” replied Benjamin, “That would be an amazing record! Enquire away…” Amazingly, a few emails to Vinita Joshi from Rocket Girl later, I had somehow secured Robin’s services for £400 and a set of steak knives. Perhaps mistakenly I assumed the latter was a joke, but otherwise Robin was paid in full and, just before Christmas 2006, he called me to say the mix was done. It was and still is a masterpiece. The Sonic Cathedral single was merely the base camp of this exploration which soon took in another 7”, an EP, a collaboration with Prefuse 73 and culminated the following year with their incredible debut album, ‘Alpinisms’. I can only wish I had been in a position to release the album back then, but I was pleased it came out (in the UK and Europe) through my friends at Full Time Hobby. As School Of Seven Bells continued their ascent, I promoted another London show at Cargo and DJed at shows at ULU and the ICA, where instead of the stage I was set up in the bar so didn’t get to see the bands play. To make matters worse on that night I had to leave early to get home to my baby son who had become ill with bronchiolitis. Barely offstage, a concerned Benjamin sent a message on Facebook to see if everything was OK. This was typical of him – he always had time for others, whether it was shouting out to some friends who had just got married in Norwich, getting another friend into a show in Chicago, or taking time out to listen to another’s demos and offer constructive criticism. It was knowing this that made the feeling of helplessness after his cancer diagnosis even harder to take; I managed to raise a small amount of money by auctioning copies of the single on eBay, but it was a tiny drop in the ocean of endless medical bills. 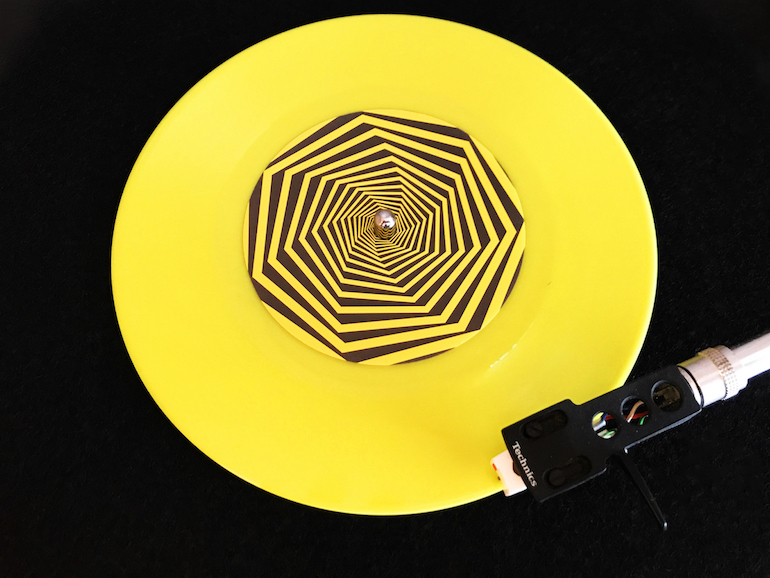 The last thing Benjamin did for Sonic Cathedral was a School Of Seven Bells remix of Yeti Lane’s ‘Warning Sensations’ which came out in June 2012. He added a thundering breakbeat and some gothic disco overtones to the Grandaddy-esque indie-pop of the original. It’s a wonderful remix, but I wanted to end this piece with another special song. 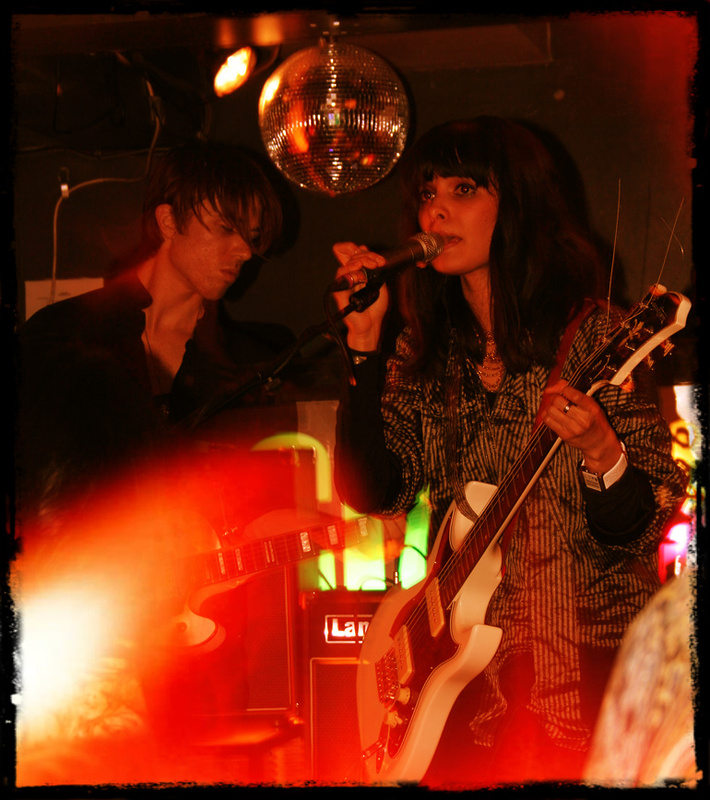 Around the time School Of Seven Bells contributed to a Neu! tribute album in 2009 (Benjamin would go on to play with his hero Michael Rother the following year) I asked him if he’d heard the OMD B-side ‘4-NEU’. He hadn’t, but loved the song when I sent him a link to it. The next time I saw him I gave him my treasured, well-worn copy of the ‘Genetic Engineering’ 7” which featured it on the flip. Rest in peace, Benjamin. Eternally.